very embarrassing to ignore woman." We are beyond thrilled to be able to offer two research grants to support work in Mormon women's history--one student award and one independent scholar award. Deadline to apply is April 1, so don't delay. Click here for details on the Student Grant and here for details on the Independent Scholar grant. Thank you to all who have supported our bazaars and other fundraising efforts to bring this goal to fruition! 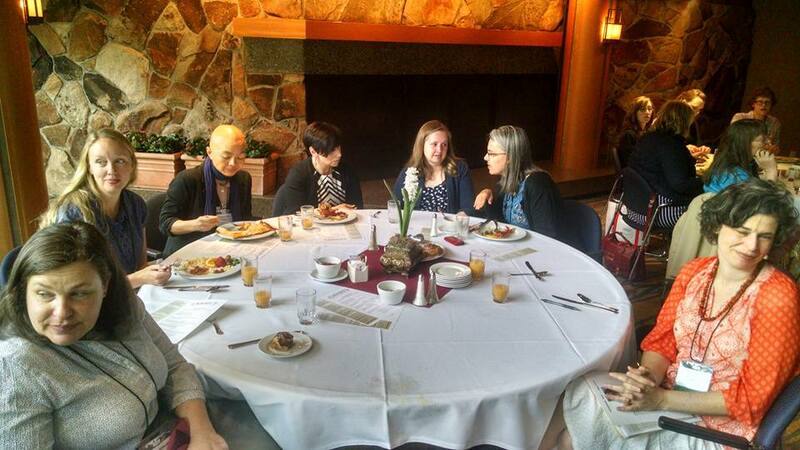 It was the year of women at the annual Mormon History Association awards ceremony, with nine of fourteen awards going to women authors. Congratulations to the winners! Pictured: (Back row) Taunalyn Ford Rutherford (Best Dissertation), Jessica Nelson (Best Thesis), Andrea G. Radke-Moss (Best Article on Mormon Women's History), Amy Harris (Best Article), Kate Holbrook (Best Documentary Editing). ​(Front Row) Cherry Bushman Silver (Special Citation), Laurel Thatcher Ulrich (Best Book), Jill Mulvay Derr (Best Documentary Editing), and Carol Cornwall Madsen (Best Biography and Best Documentary Editing). Well over 300 people attended this standing-room-only event in Salt Lake City on January 11, 2017. Click here to access audio and transcript of the lecture and Q&A. 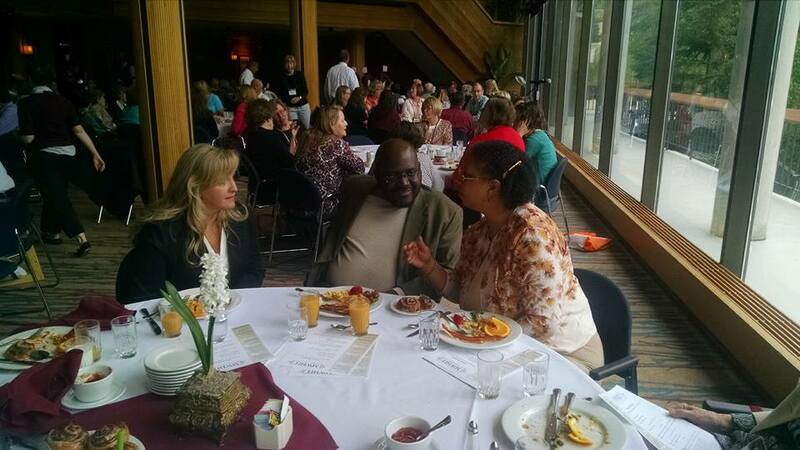 Over 100 people attended the annual MWHIT breakfast, held in conjunction with the conference of the Mormon History Association, on June 11, 2016. 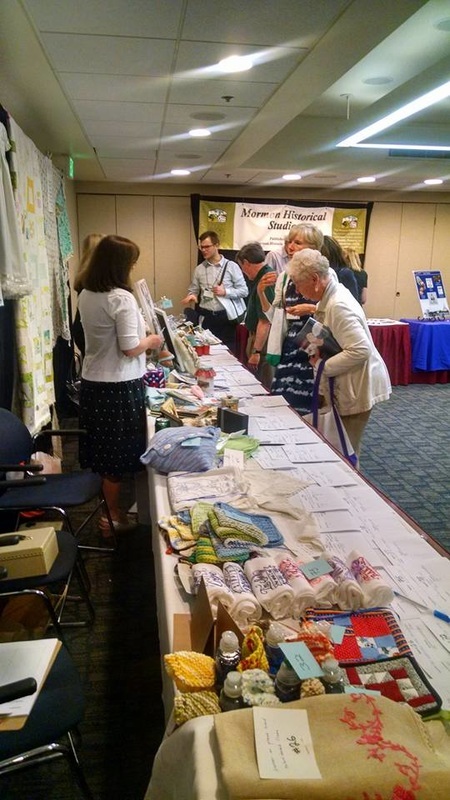 In addition to the traditional networking and highlighting of publications and research interests, this year's event featured a memorable address by Alice Faulkner Burch (above, center), president of the Relief Society of the Genesis Group. The full text of her talk is available here. The first annual (?) 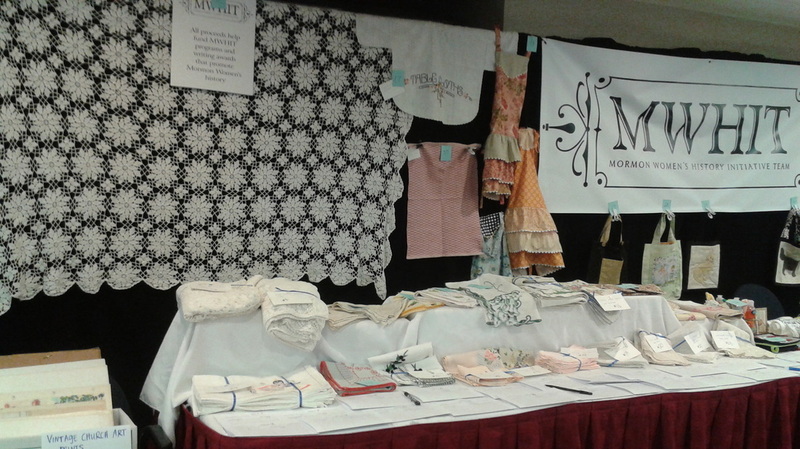 MWHIT bazaar, reviving the historical tradition of Relief Society bazaars, was a smash hit at MHA this year: Dozens of items, scores of bids, lots of fun! We raised a tidy sum to help support our awards, events, and outreach. 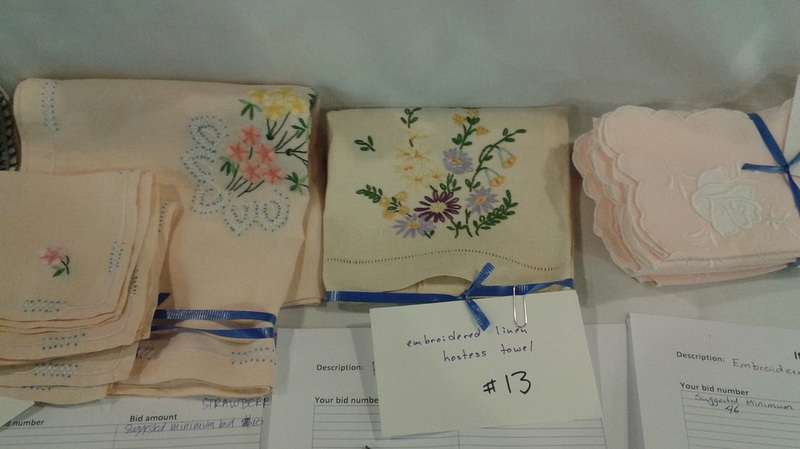 Thank you to all who donated items or services, shopped, and helped out in the booth. 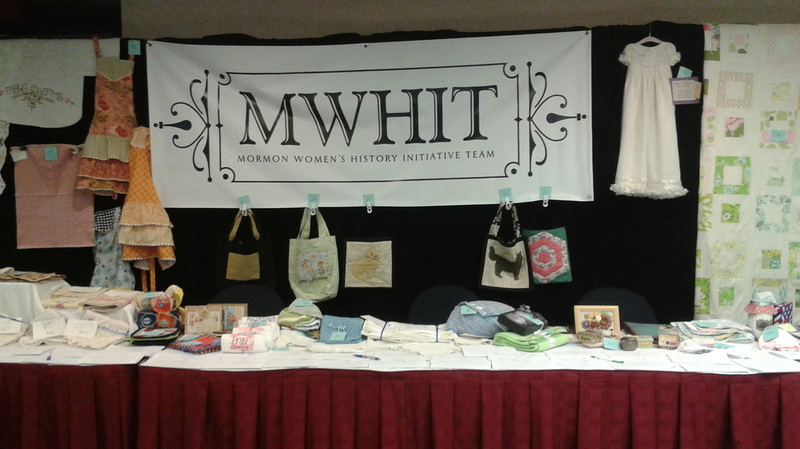 We are an independent group of scholars promoting research and networking in the field of Mormon Women's History. Learn more about us. We sponsor several events each year. Learn more about what's coming up. We maintain a private contact list of individuals who want to be informed of events and news. Please consider donating to MWHIT. ​We raise funds to support our ongoing initiatives: awards, events, web site, and communication with our network of scholars and individuals. We are also working towards establishing a scholarship fund and travel grants to enable scholars to present Mormon women's history at conferences. We are a 501(c)(3) organization, and your contribution is tax-deductible.